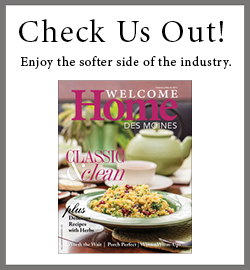 BUILD Des Moines is a FREE digital-only publication distributed monthly to the inbox of hundreds of professionals in the local central Iowa home building industry. It is our goal to keep you up to date on the latest local industry news, local and national home building trends, people you should know, and so much more! If you aren’t receiving BUILD Des Moines to your inbox, subscribe today. It’s FREE!